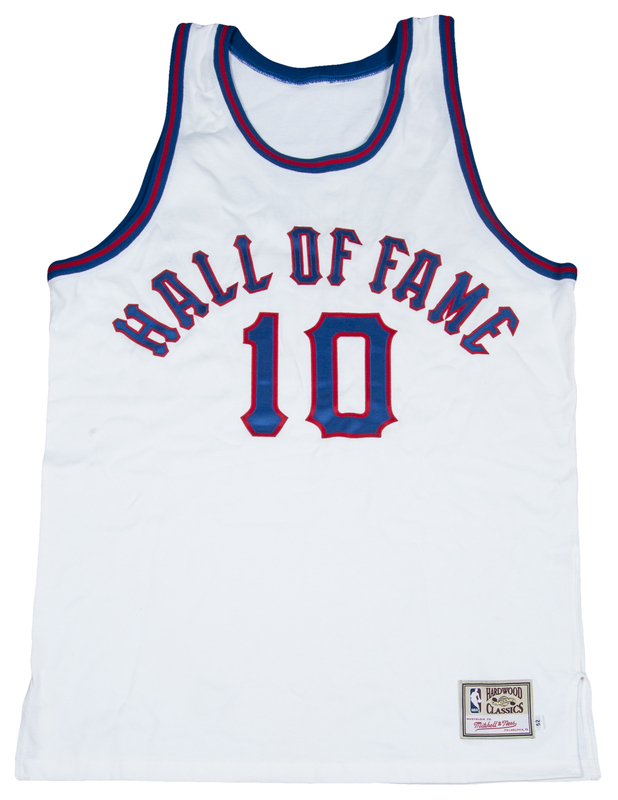 This collection is provided by the estate of basketball Hall of Famer Dennis Johnson, who passed away in 2007. 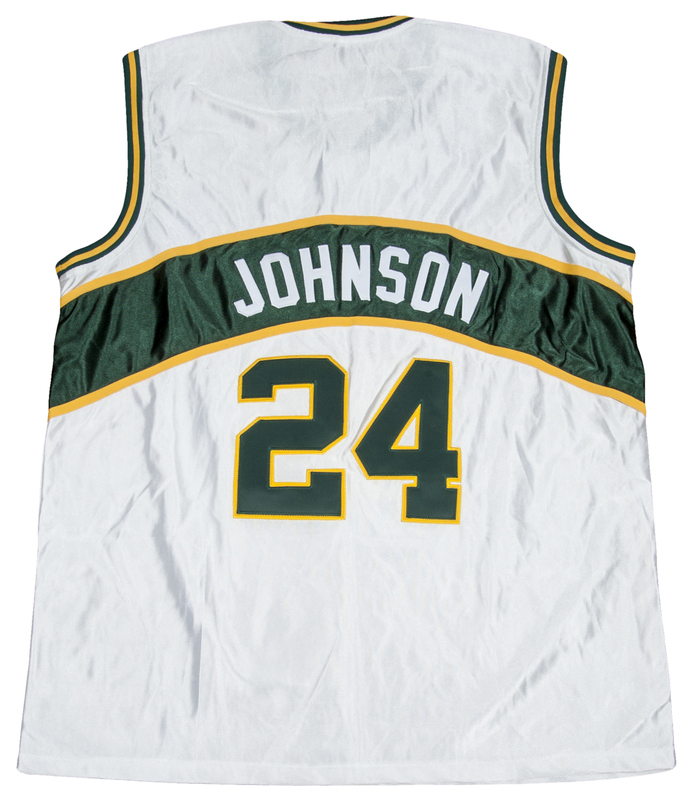 Johnson played for the Seattle SuperSonics, the Phoenix Suns and the Boston Celtics during his career, winning 3 NBA Championships, playing in 5 NBA All-Star Games, and taking home an NBA Finals MVP in 1979. Included in this lot are a varied assortment of items Johnson collected over the course of his career. 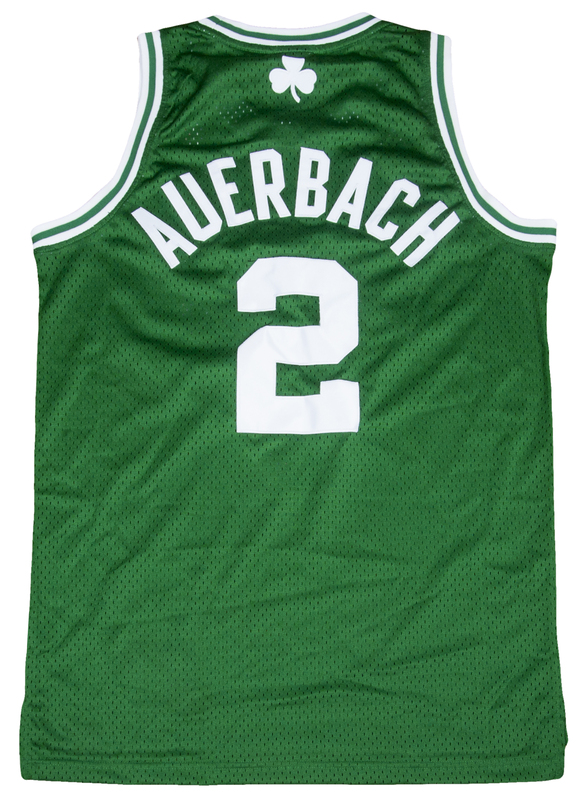 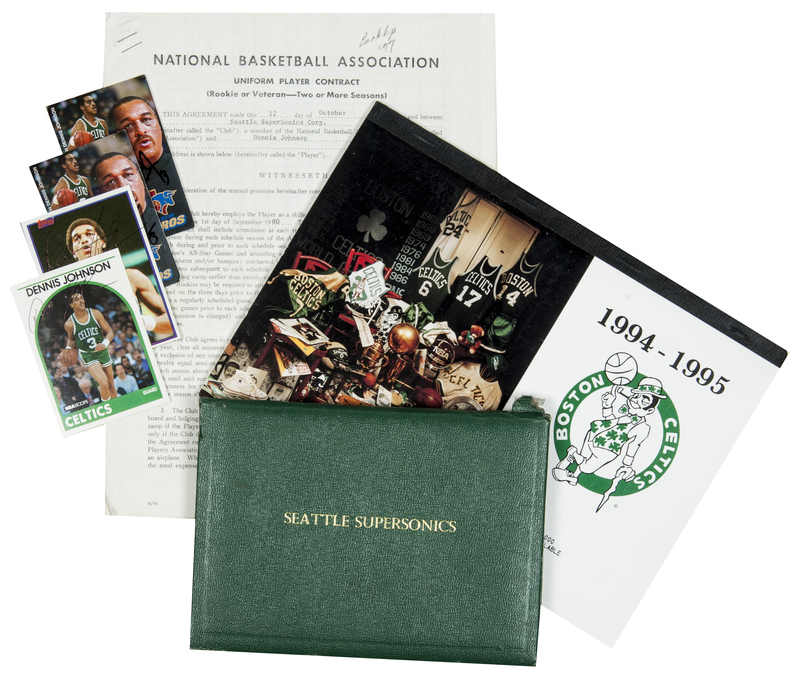 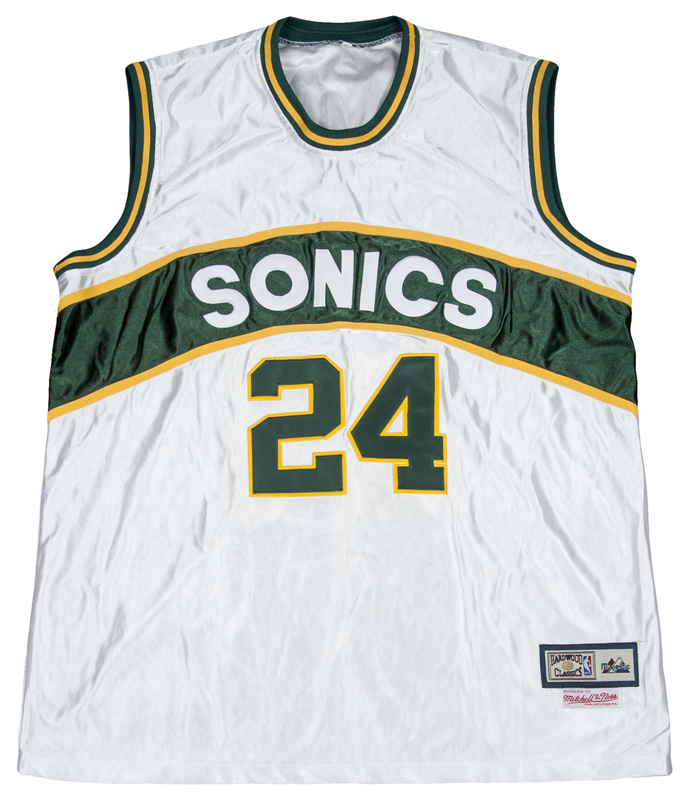 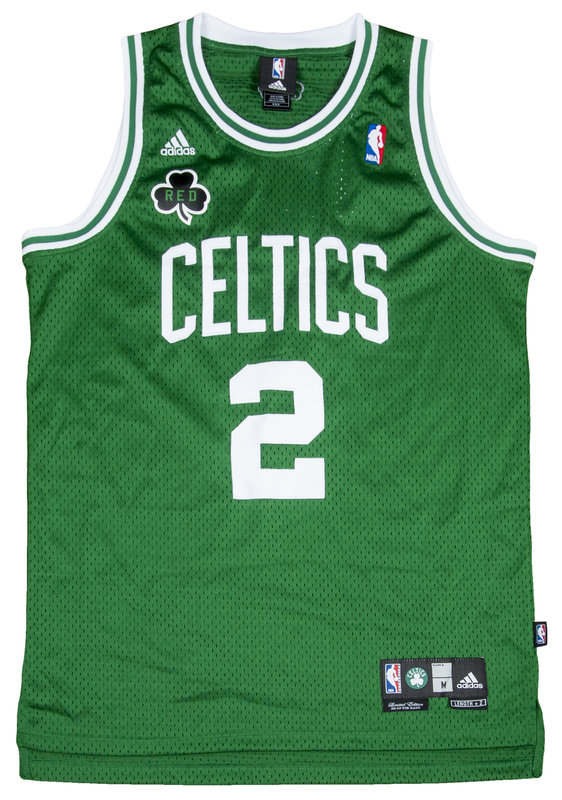 Among them: A white Hall of Fame “Johnson 10” Jersey, a white Sonics “Johnson 24” jersey, an Adidas Swingman green Celtics “Auerbach 2” jersey given to Johnson at Auerbach’s retirement, 4 signed basketball cards, a replica of the bonus check Johnson received as a member of the 77-78 Western Conference Champion SuperSonics housed in a (slightly damaged) green folder, a Boston Celtics season ticket booklet for the 1994-95 season, a copy of Johnson’s 5-year contract signed with Seattle prior to the 1980 season, a framed and matted team cartoon drawing of the 1978-79 NBA Champion SuperSonics, an appx. 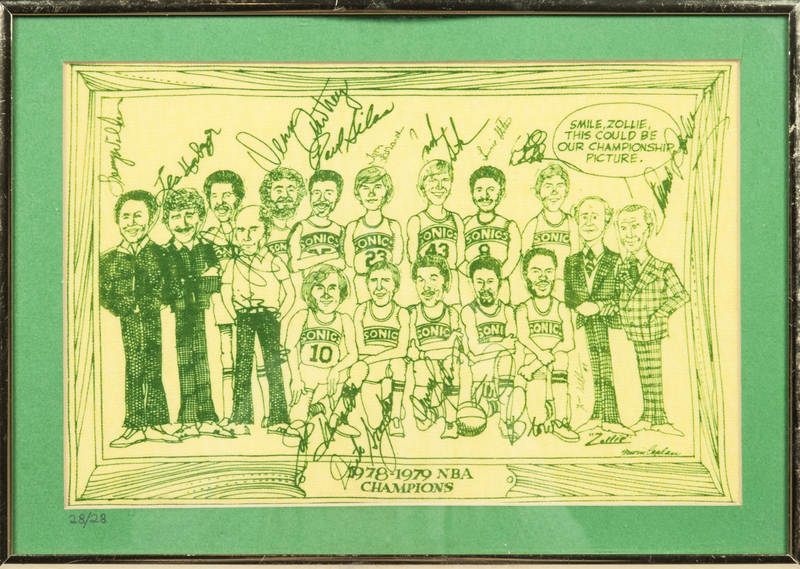 6”X24” piece of parquet floor from the Boston Garden given to Johnson, 4 single-signed and inscribed baseballs (“Dwight Evans #24” (2X), “Dennis Good Luck Pete Rose”, “To Dennis Best Wishes Ted Williams”) and 3 single-signed baseballs (“Bill Lee X2”, and a a 3rd unknown signature). 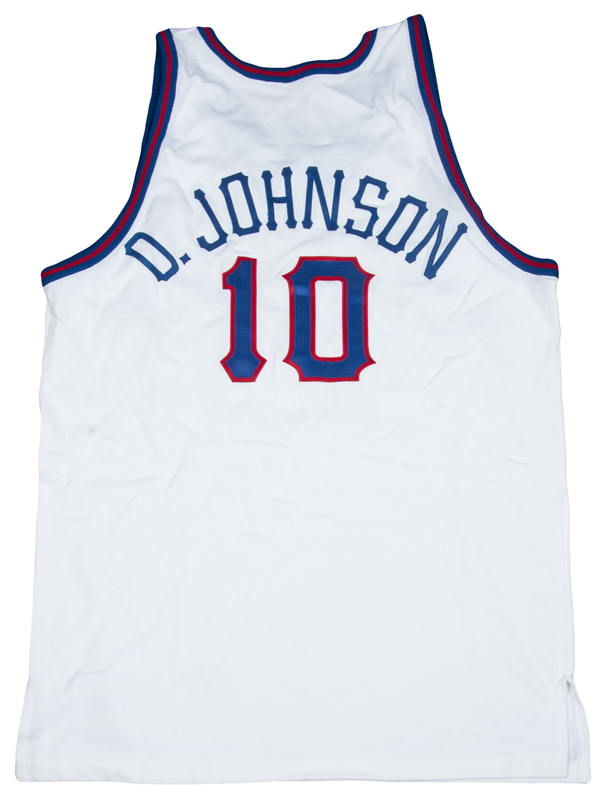 All items come with LOA’s signed by Donna Johnson, Dennis Johnson’s widow.